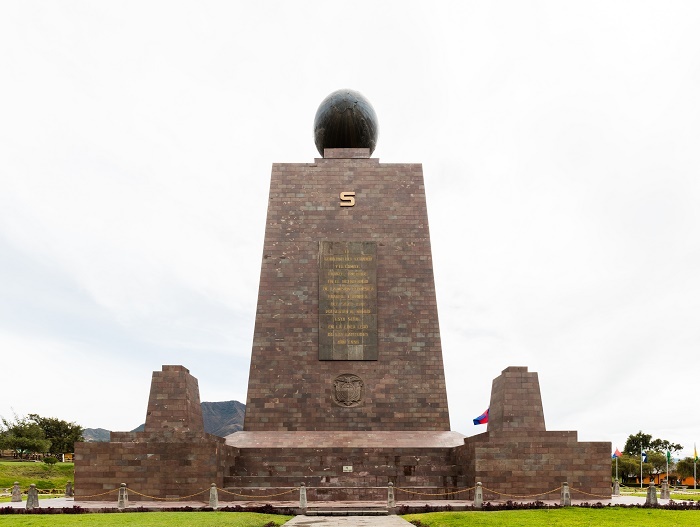 The Monument to the Equator, better known by its original name as Monumento a la Mitad del Mundo, is a prominent monument which serves also as a landmark in the San Antonio Parish, of the Pichincha Province on the outskirts of the capital city of the Republic of Ecuador, Quito. 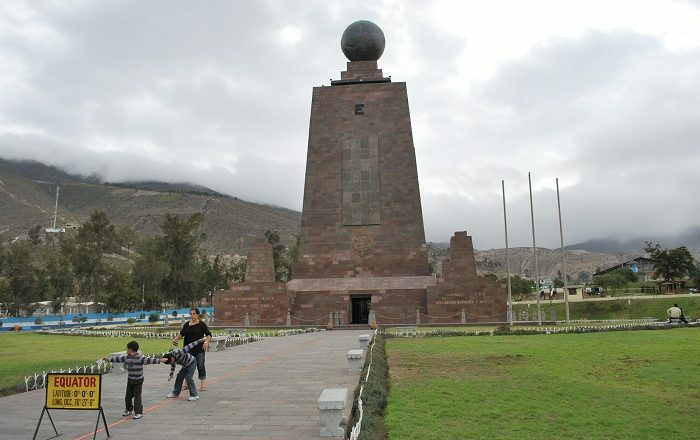 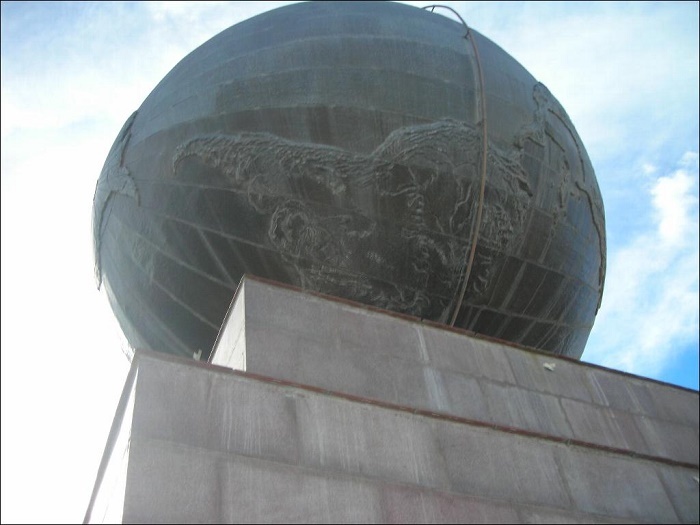 Since the monument highlights the exact location of the Equator, for which the country also takes its name, and also is located in the purposely built Ciudad Mitad del Mundo, it separates the northern from the southern hemisphere and it is one of the unique places in the world where people can play with their geolocation. 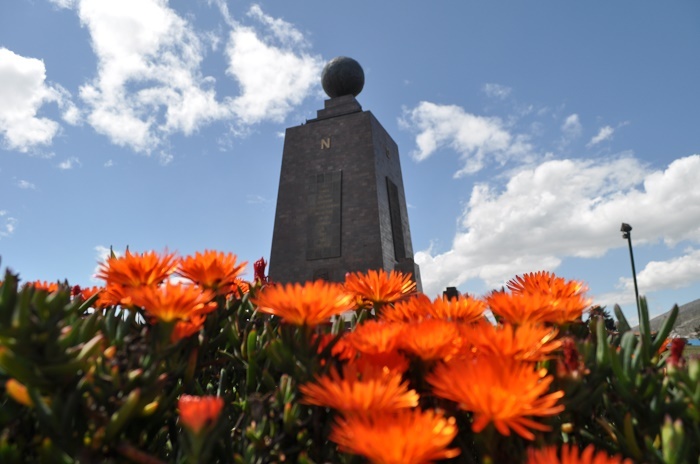 Commemorating the first Franco-Spanish Geodesic Mission which was led by Louis Godin, Pierre Bouguer and Charles Marie de La Condamine in 1736, it was actually this very important mission that fixed approximately the Equator’s location through conducted experiments. 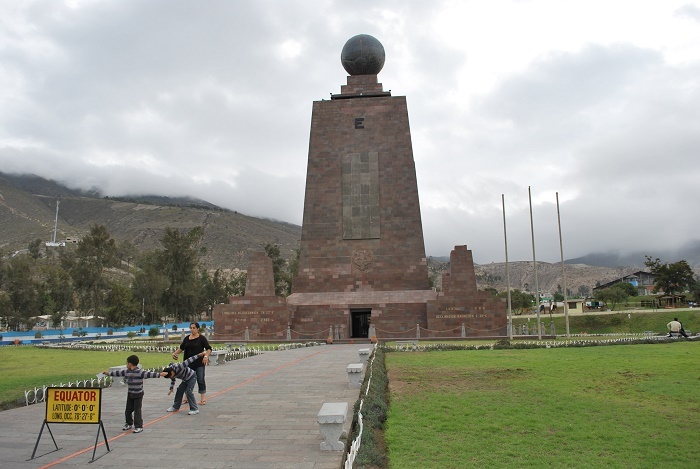 Today what we are able to see is a 30 meters (98 feet) tall trapezoidal monument that was constructed from concrete and iron, and it was later covered by carved and polished andesite stone blocks. 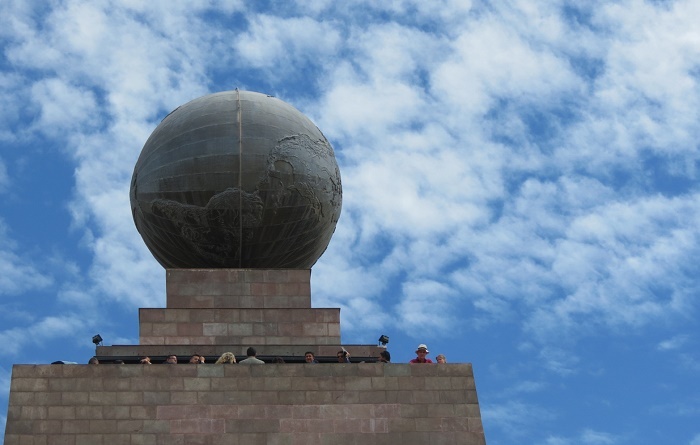 At the top of the Monument to the Equator stands a globe with the carved continents which is almost 5 meters (16 feet) in diameter and weighs about 5 tons. 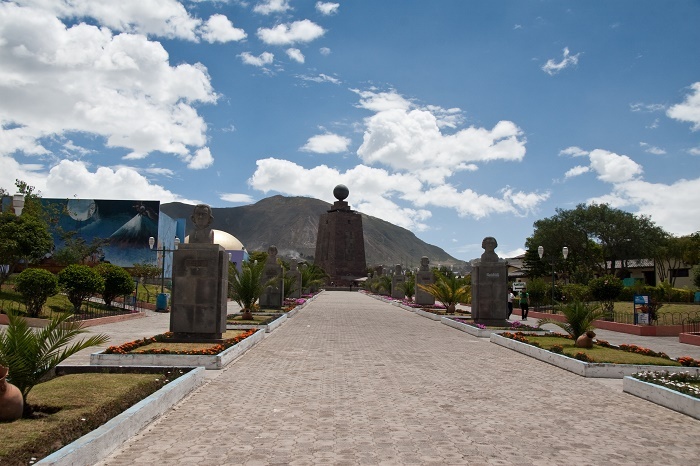 Furthermore, within the monument is located a small museum which shows elements of the indigenous cultures which can be seen throughout Ecuador. 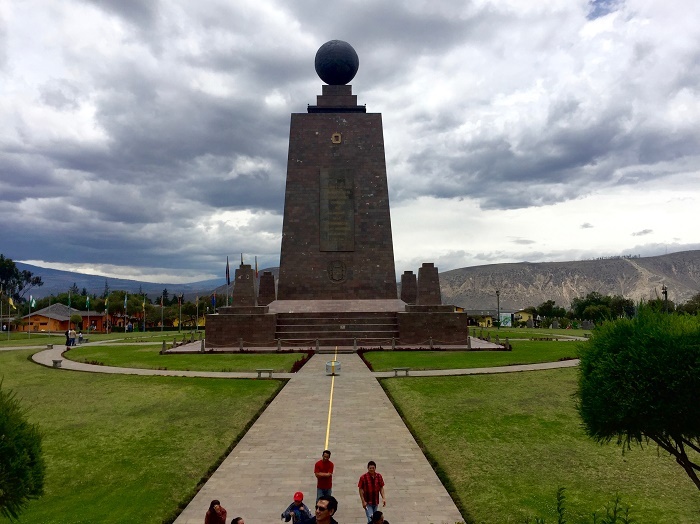 Each side has the geographical direction of the four cardinal points, while at each of the angles are located four large monoliths. 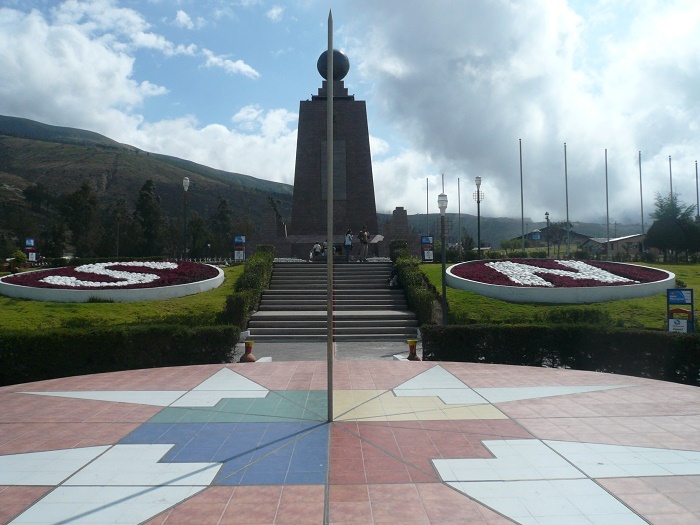 The monument was built between 1979 and 1982 by the Pichincha’s Province Council in order to replace the older and much smaller monument that had the same design. 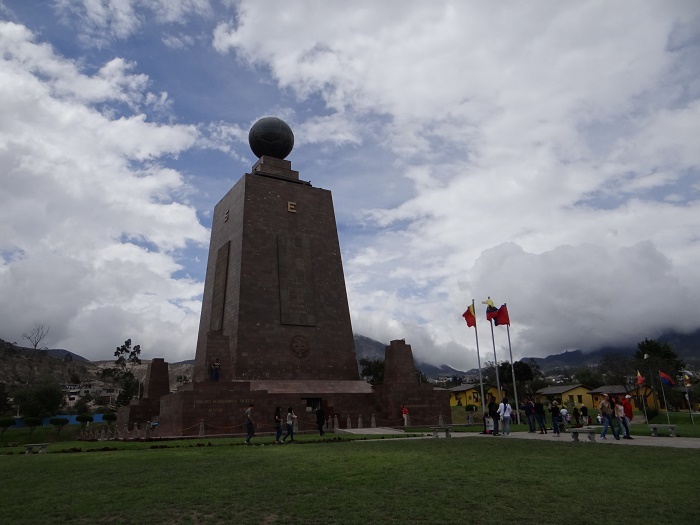 Still, when on the top of the monument, there are impressive landscape views of the entire area, while within the museum, as mentioned before, there are dioramas, clothing displays and photographs which explain the rich indigenous culture of the people of Ecuador. 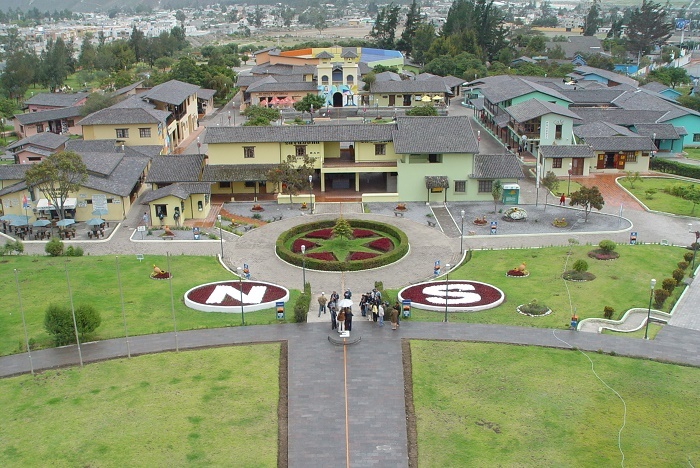 All in all, a grand landmark which should not be missed whenever in Quito, because being in two places at once is something that would be spectacular to tell to everyone.